Short-termism is damaging confidence and trading volumes in the equity markets, say 60% of respondents to theTRADEnews.com's July poll. Recent concern amongst regulators has been triggered by the growth of high-frequency trading (HFT) and the alleged shortening of investment horizons by buy-side firms. However Richard Saunders, chief executive of UK buy-side industry body the Investment Management Association, says that there is no credibility to allegations of short-termism amongst asset managers, and believes that HFT does not pose too great a threat to the buy-side. 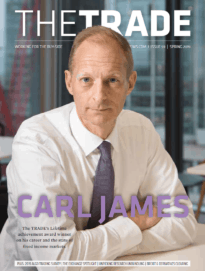 Andrew Haldane, executive director, financial stability at The Bank of England, has argued that HFT “increases the risk of feasts and famines” by creating high levels of liquidity when market conditions are positive but then removing it all at times of stress. It also transmits price dislocation across markets, quickly, because it is based on high-volume market arbitrage. He cited the 6 May ”flash crash', which saw the Dow Jones Industrial Average fall 1000 points and recover in a 20-minute window, triggered by a high volume ”sell' order on the futures market, as an example of this. Concern over the effect of high volume short-term trading has been heightened globally by the flash crash. The Australian Securities and Investment Commission delayed the introduction of competition rules in 2010 to factor in the lessons learned; MICEX, Russia's largest equity market, introduced a limit of 150 orders per second, per market gateway in Q2 2011; and the European Securities and Markets Authority released a consultation paper on automated trading on 20 July 2011 which noted, “it is clear that many of the concerns that the US authorities raised in the wake of the flash crash about trading in a highly automated environment are also relevant to Europe”. The European Commission put the case that long-only buy-side investors are becoming short-termist, following a consultation on the development of sustainable markets initiated in 2010. 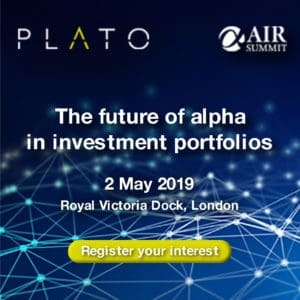 Participants reported that asset managers were under pressure to deliver investment returns on a short-term basis, contributing to market instability. In a green paper published in April 2011, the EC supported this perspective with academic research published by Dr Paul Woolley of the London School Economics. Woolley argued that the agency model of asset management encourages investment managers to base portfolio decisions on short-term price movements in the market, noting pressure via quarterly meetings with investor clients and consultants. Saunders says that feedback to research conducted by the IMA and the National Association of Pension Funds in 2004 suggested although there is some pressure, it does not affect performance. In the IMA's response to the EC green paper, Liz Murrall, director, corporate governance and reporting, makes several criticisms of Woolley's theory. The allegation that a fund manager is able to finance investment opportunities “directly from his own or borrowed funds and enjoy the full gain himself” simply does not exist she says, as asset managers trade only for clients. Moreover, says the IMA, high levels of turnover are incorrectly implied by the EC to relate to fund managers “churning” their client portfolios, when only 24% of turnover in the UK equity market stems from buy-side firms, according to research firm TABB Group. The movement that does exist does not relate to buying and selling of different stocks but rather a resizing of the amount of a particular stock held, as cash flows into and out of a fund. The suggestion that asset managers are rewarded for short-term performance is “puzzling” argues Murrall, as they are remunerated based on value of assets managed. “The incentives are to retain the business of the client long term, and second, to increase the value of the clients assets over time,” she notes. Performance targets are typically set over a three-year period, again suggesting a longer-term outlook.